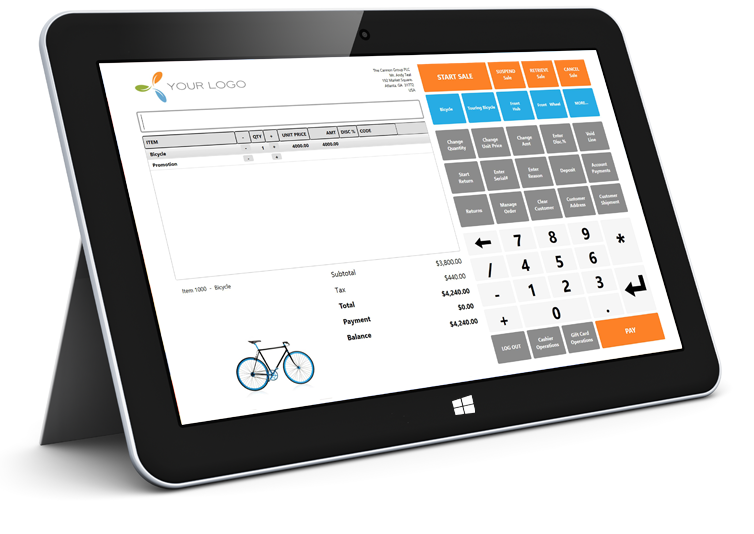 ChargeLogic Retail isn’t just any POS, it’s the only retail solution that’s built inside of Dynamics NAV at the point of sale and in the back office. ChargeLogic Retail provides a robust POS application, including a customizable interface with access to customer data, reporting, inventory, and more. Leverage ChargeLogic’s solutions to accept payments from all of your sales channels—back office, e-commerce, and POS—and manage that data from Dynamics NAV. One to 100+ stores with multiple options to ﬁt your business. We grow with you. Works on Windows hardware and tablet devices for a sleek, modern look at check out. Layaways, promotions, email receipts. Multiple payment types and EMV. Because it’s integrated with NAV, all your inventory data is up to date, in stores and at the warehouse. Access any report directly from Dynamics NAV. Get end of day reporting to track daily sales, activity per sales person, and evaluate discrepancies. Accept all payment types from gift cards to NFC payments. EMV capable. View and maintain customer data like purchase history, payments and balances, and more—right from the POS. With ChargeLogic, you can manage all of your payments from all of your sales channels within Dynamics NAV. PCI validated. EMV and point to point encryption available.